so many people threw their hats in the ring resolutions in the jar when Karen of “Did You Make That?” challenged us to make a sewing resolution and stick to it. to make something we had been putting off, to learn a new technique, to sew with a scary fabric, to face our sewing demons. my sewlution was to sew some menswear for my husband, Nathan. for a guy who puts up with my manic need to sew, it was time he reaped the benefits! what i didn’t realize when i made my sewlution was just how much it would affect my sewing for the better. i could have copped out and made my husband some tee shirts (which he has repeatedly requested…) but i really wanted to try my hand at dress shirts. his old ones are falling apart and/or are too big for his frame. i started off with a casual plaid shirt. this shirt has seen a great deal of wear, and wait—why have i never stolen that shirt out of his closet? hmmm…. selfless indeed! i was simultaneously surprised by the new skills i needed to acquire, and by how well it turned out. i learned precision topstitching, as well as the ins and outs of a shirt—far more complex than meets the eye. i went on to make two more shirts. sadly, i haven’t made him any since then, but it’s on my 2014 list! i feel confident enough to use more expensive fabrics and really round out his dress shirt needs. after making his shirts i was pretty excited to make my own button up’s (four archers…), one for Oliver, and an unblogged flannel shirt for Anastasia. i found that the skills i needed to make these shirts look as profesh as possible bleed into every aspect of my sewing—my stitching is far more precise than it would have been without the shirtmaking. 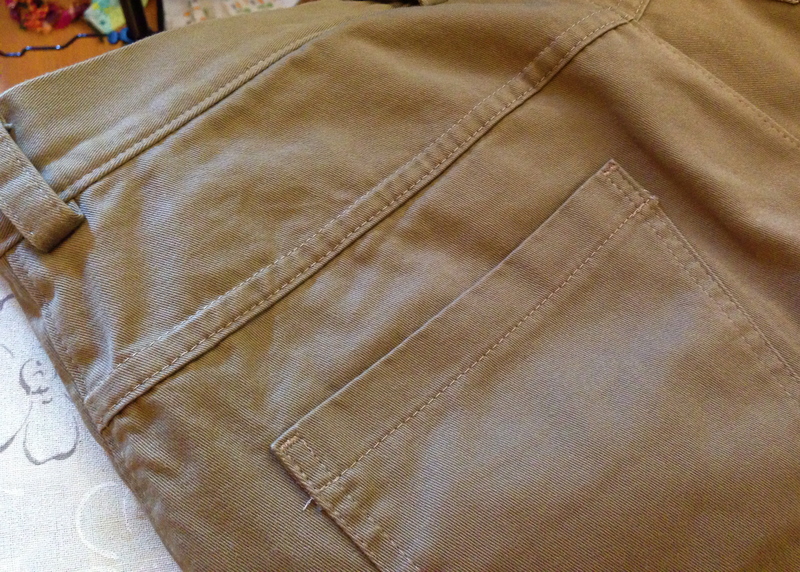 i didn’t stop at dress shirts though… i was happy to be a pattern tester for the jedediah pants by Thread Theory. i made up the shorts version, and a while back i bought some navy corduroy to make him a pair of pants. the pants keep getting pushed back in favor of quicker projects, but i should be able to start them soon. in addition to shorts, i also made him a pair of wool dress pants using the burda Jochen #6014 pattern. i haven’t had a chance to blog or properly photograph them, but they’ve been in frequent rotation since i made them back in october. i’ll be using that pattern again, so hopefully for round two i can get a proper review up. i found the pattern sizing to be excellent, if you’re curious. the only changes i want to make are construction-oriented to include more high-end interior finishing (lining the front legs, french seamed pockets, etc.). like i mentioned, sewing menswear really upped my game in terms of precision. i may not have done it without publicly committing, so thank you Karen. i hope the Mistress of the Jar is satisfied with my contribution! thanks 🙂 and the Albion is a good looking coat, i look forward to seeing that out in blogland! Nice job! My husband has been asking me to make him a button down shirt for months. I think I need to tackle it this year. shirts seem more daunting than they really are. the thing is every step requires concentration, so at first it’s really hard to hit a stride and whip them out! that said, every step offers meaningful progress, so it’s one of those things you can work on a little at a time and still feel like it’s going somewhere. I think of you as the button down shirt (and topstitching) queen! You always get such professional results. I just posted my finished sewlutions on Karen’s post. They did include a wearable item for my husband (a Strathcona Henley) and he does actually wear it! Your top-stitching always leaves me swooning! And I’m really impressed with the dress pants – I’d love to hear more about them. I think you’ve earned at least a few wears of that gorgeous plaid shirt. I’d love to use your sleeve placket this year on some shirts for my husbo! thanks! 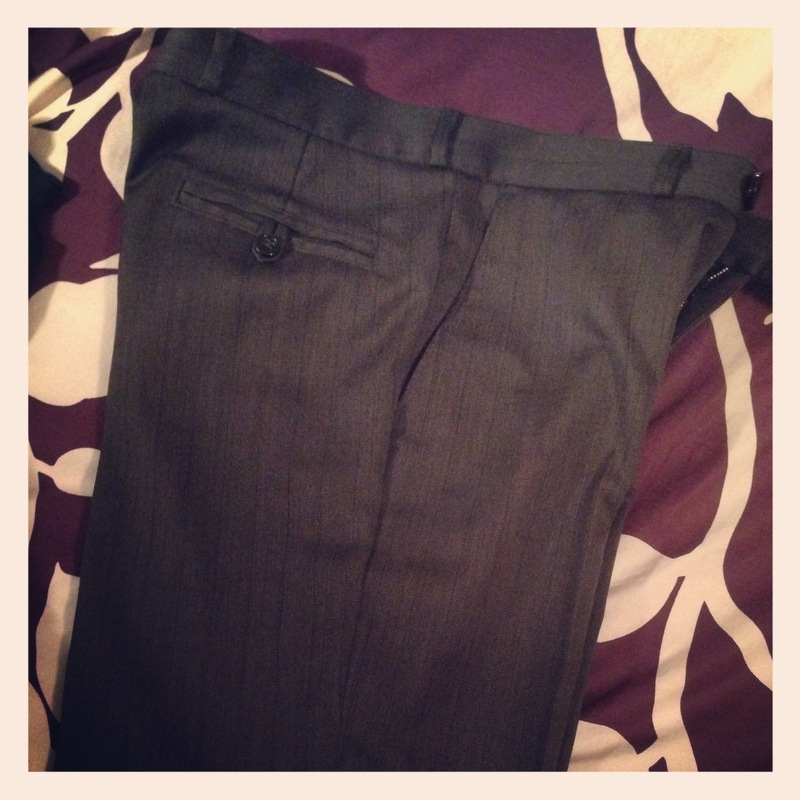 the burda dress pants definitely deserve their own post, i’m sure i’ll be making them again! It’s so impressive what you’ve made for your husband this year. I’ve not even scratched the mental surface of sewing for men. it’s disgustingly easier than sewing for women… you might actually enjoy it! What you’ve made for your hubby is inspiring to me!! I will be happy if I can scrape together a tie in 2014 for my hubby! No, really! Great job! You’re very talented. Congrats on completing the Sewlution! Happy New Year! It was your post on sewing the button up shirt for your husband that inspired me enough to give it a try. I have now completed my second men’s shirt and am so happy with the result, so thanks for the inspiration. I love sewing menswear – tho so far I have only tackled dress shirts. You have inspired me to make good on my plan to sew pants for my husband! You did such a great job on all the shirts. I agree that you really upped your game this year – and it was up there already! I also agree that there’s so much learning that happens in shirt-making that transfers to all other sewing. I’m really glad I at least stuck to that part of my Sewlution! yeah, Nathan has been asking me for a suit for years… the pants are no problem, a tailored jacket? uh no. not ready to invest in the tools i would need! plus my homemade buttonholes would totally ruin it. but, these pants were super cheap to make, i think my fabric was $7/yd. next time i’ll get a higher quality wool since i know the fit is so good! Everything looks so professional, you rock! My husband has about a million plaid button ups in his closet, so I don’t feel guilty not sewing any for him 🙂 I want to try your sleeve placket, I used one from Threads magazine on an Archer and ended up having to add to the circumference of the cuff (1″), not sure what went wrong! Anyway, beautiful work on the hubs clothes, I am sure the Mistress will be satisfied! on the sleeve placket, i usually taper the sleeve slightly or make the pleats deeper to fit the cuff. the tower placket adds more width than the continuous, so you didn’t do anything wrong!